At least 29 people, including nine journalists, have been killed and dozens wounded after two explosions hit Kabul, according to Afghan health officials. The blasts went off during rush hour on Monday morning in the Shash Darak area of the Afghan capital. Al Jazeera’s Jennifer Glasse, reporting from Kabul, said the armed group Islamic State of Iraq and the Levant (ISIL, also known as ISIS) claimed responsibility for the attack. 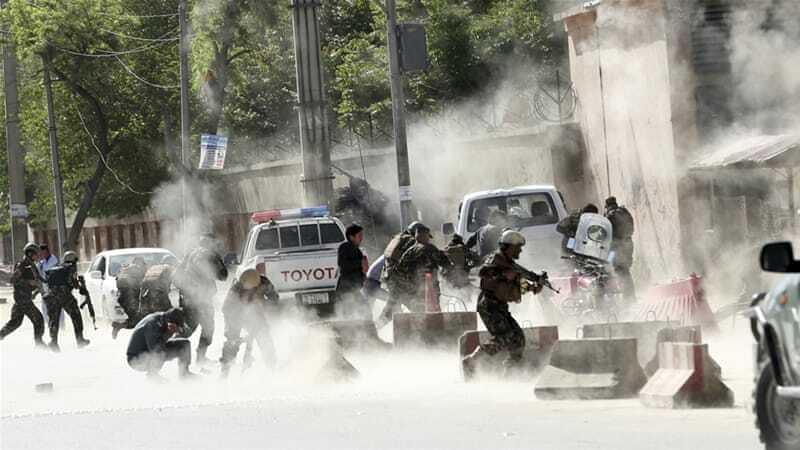 In the first explosion, a suicide bomber in a motorcyle detonated himself close to the National Directorate of Security (NDS), the main Afghan intelligence agency, TOLOnews quoted an interior ministry spokesman as saying. In the explosion that followed 20 minutes later, a second suicide bomber targeted emergency medical workers and journalists who had arrived at the scene. Al Jazeera’s Glasse said the second suicide bomber was dressed as a journalist. The Afghan Journalists Safety Committee reported that nine journalists who rushed to cover the aftermath of the first explosion were killed in the second blast. A spokesperson for the Afghan health ministry said the attacks killed at least 29 people and wounded 49 others, according to TOLOnews. TOLOnews also reported that its cameraman, Yar Mohammad Tokhi, who had worked for the company for 12 years, was among those who were killed in the attack. Meanwhile, AFP news agency reported that its chief photographer in Kabul, Shah Marai, was also killed. As was two staff members of Azadi Radio, the Dari language service of Radio Free Europe. Radio Free Europe identified the two journalists who died as Abadullah Hananzai and Moharram Durrani. A third staffer, Sabwoon Kakar, was injured. An Al Jazeera photographer, Seyyed Nasser Hashemi, was also hurt in the incident. He is currently in the hospital recovering from his injuries, Al Jazeera’s Glasse said. TOLOnews also reported that two other journalists were wounded in the second blast. The death of the nine journalists is considered as the worst attack on Afghan media in modern history, Glasse said. “It’s a very grim morning here,” she said describing the situation in the Afghan capital. She added that there are many fortified streets near the site of the attack. The explosions on Monday come just a week after a blast hit a voter registration centre in Kabul, killing at least 57 people and wounding more than 100 others. “The series of attacks here in Kabul have made the Afghan capital most dangerous place in Afghanistan to be,” Al Jazeera’s Glasse said. The newly appointed secretary has had a decorated career. In January 2015, Javid was awarded the Politician of the Year award at the British Muslim Awards. In November 2017, Javid won Patchwork Foundation’s Conservative MP of the Year Award. 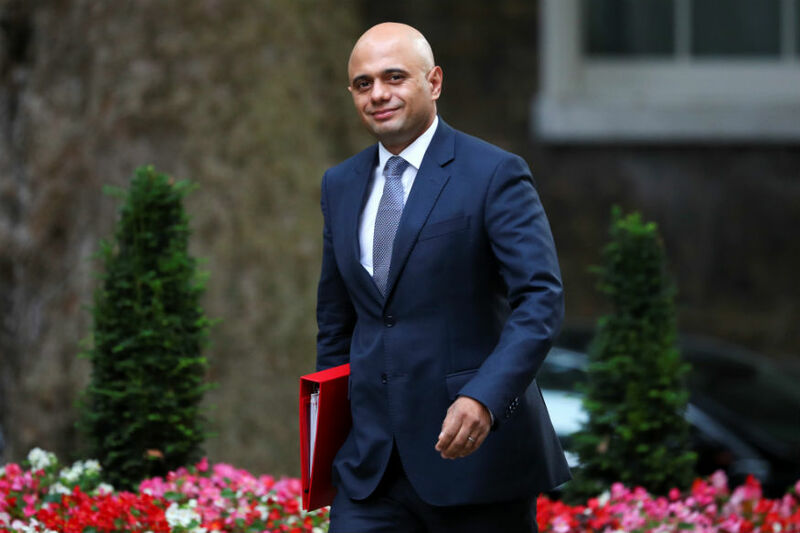 Sajid Javid was on Monday named as Britain’s new home secretary after Amber Rudd resigned, having “inadvertently misled” lawmakers about deportation targets for illegal immigrants. Javid was born in Rochdale, Lancashire, and is one of five sons of parents of Pakistani descent. His father was a bus driver. His family moved from Lancashire to Stapleton Road, Bristol. Prime Minister Theresa May’s Downing Street office announced the appointment in a statement. “The Queen has been pleased to approve the appointment of the Rt Hon Sajid Javid MP as Secretary of State for the Home Department,” May’s office said in a statement. Currently, Javid lives with his wife Laura and their four children. He has previously said that his family’s heritage is Muslim, but he does not practise any religion, although he believes that “we should recognise that Christianity is the religion of our country”. Javid has received religious hate mail in the form of a “Punish a Muslim day” parcel; as of March 2018, he was the fifth British MP to receive such abuse. Javid was educated from 1981 to 1986 at Downend School, a state comprehensive near Bristol, followed by Filton Technical College from 1986 to 1988, and finally the University of Exeter from 1988 to 1991. At Exeter, he studied Economics and Politics and became a member of the Conservative Party. At the age of 20, Javid attended his first Conservative Party Conference and campaigned against the Thatcher government’s decision in that year to join the European Exchange Rate Mechanism (ERM), calling it a “fatal mistake”. Javid joined Chase Manhattan Bank in New York City immediately after university, working mostly in South America. Aged 25, he became the bank’s vice-president. He returned to London in 1997, and later joined Deutsche Bank as a director in 2000. In 2004, he became a managing director at Deutsche Bank and, one year later, global head of Emerging Markets Structuring. Javid, Britain’s former communities secretary, is the first minority politician to hold one of Britain’s four top government jobs. At a Conservative Friends of Israel lunch in 2012, The Jewish Chronicle reported Javid as stating that “if he had to leave Britain to live in the Middle East, then he would choose Israel as home. Only there, he said, would his children feel the ‘warm embrace of freedom and liberty'”. On 9 April 2014, Prime Minister David Cameron appointed Javid to the Cabinet as Secretary of State for Culture, Media and Sport and Minister for Equalities following the resignation of Maria Miller over her expenses. This made him the first MP to have been elected in 2010 to join the Cabinet, and the first British Pakistani MP to lead a Government Department. Javid defended media freedom and the right of the press to investigate wrongdoing by politicians and officials in his first appearance as culture secretary on BBC’s Question Time programme. “The public were right to judge her on how she responded, there’s absolutely nothing wrong with that,” he said. The Janata Dal (Secular) on Sunday, April 29 released a chargesheet, containing a list of 15 questions/allegations against the Congress. Posing questions on alleged corruption in the now-scrapped steel bridge project, it asked the Congress if the division of Lingayat–Veerashaiva community was based on secular credentials and why did the Congress not accept the Sachar committee report. Accusing the Congress of indulging in appeasement politics, it said that the Congress was now behind appeasing the majority population. The party also accused the Congress of misusing the office of the Speaker and weakening the Lokayukta institution, besides the lack of security to intellectuals, which led to the killing of writer M.M. Kalburgi and journalist Gauri Lankesh. “Was the Rs. 70 lakh Hublot watch bought by the Chief Minister or given as gift as part of percentage payment to some work,” it asked, adding that the Congress, which was now portraying as the protector of the Constitution, was the one that abused it by imposing the Emergency. While the Congress speaks about sexual assault on women, there were cases against K.C. Venugopal (Karnataka in charge) and H.Y. Meti (former Minister), it said. The JD(S) also accused the Congress of committing fraud on farmers by announcing farm loan waiver, which is yet to reach the beneficiaries. “The Congress states that Karnataka is safe but there are leaders in the Congress against whom serious criminal cases are there. What happened to those named in Govindaraj diary? The Congress has sidelined senior leaders,” it said. 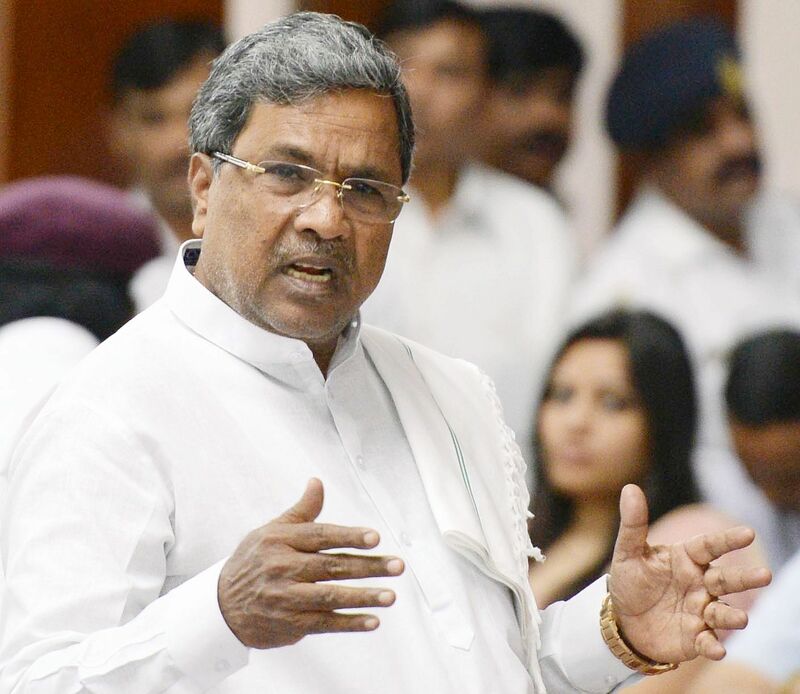 Chief Minister Siddaramaiah on Sunday alleged that JD(S) state president H.D. Kumaraswamy and BJP national president Amit Shah travelled together in the same aircraft to New Delhi recently. “I will release the proof of their travel together at the right time,” he said, reiterating that the Janata Dal (Secular) is the ‘B’ team of BJP. Siddaramaiah said that the people of the state will never support the association of BJP with the Reddy brothers of Ballari. “Teaming up with the looters will never be accepted by our voters. The BJP will never come to power in the state,” he asserted. The claim, however, has been rubbished by Kumaraswamy. He said Siddaramaiah was dreaming about the meeting between him and Shah. “Why should I meet Shah? The chief minister is making such statements out of desperation. He must have dreamt about us,’’ Kumaraswamy said. He alleged that it was in fact Siddaramaiah who has ties with the BJP. “I know who prevented B Y Vijayendra from getting BJP ticket to contest in Varuna where Siddaramaiah’s son Yathindra is the Congress candidate. Siddaramaiah has internal understanding with the BJP,’’ he said. The Karnataka Secondary Education Examination Board (KSEEB) declared results for the pre-university (PUC II) examination at 11 am today. Continuing with the trend, this year also girls have outshone boys in the class 12th examination conducted by the Karnataka Pre University Board. Karnataka PUC results 2018 declared, how to check All the candidates who had appeared for the examinations can check their results through the websites, kar.nic.in, karresults.nic.in and www.examresults.net/karnataka. According to C Shika, Director Pre-University Education (PUE) department, Dakshina Kannada district stands first with maximum pass percentage followed by Udupi. Chikkodi district is at the bottom of the list with 52.20% and Bengaluru South is in 9th place. Bengaluru North and Bengaluru rural divisions occupy 11th and 13th place in the list of districts. Highest score is 597 in science and 595 in Commerce & Arts. PUC results have improved by 7.18 %, said C Shika, PU Board Director. Around 54,692 students have passed with distinction in PU examinations. Karnataka 2nd PUC result statics Total number of students pass: 4,08,421 Distinction 54,692 First class: 2,13,611 Second class: 82,532 Third class: 57,586 Rural centers across Karnataka have performed slightly better than urban areas as the pass percentage in rural Karnataka stood at 59.95% and urban areas at 59.45%. 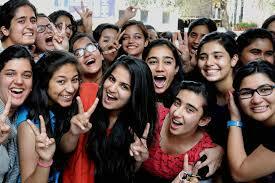 While the overall pass percentage was 59.56 percent, more girls passed the examination compared to boys. Supplementary exams for those who did not clear the main exams will be held between June 8th to 20th, Shika said. The results will be available online 11.30 am onwards. Get your result Around seven lakh students appeared for the exams that were held in March 2018. In all the number of examiners were 23980 while the umber of students who appeared for PU exams was 6,90,000. The internship period commences from Tuesday (May 1) and ends on July 31. The programme aims to engage millions of youngsters across the country, to encourage them to contribute to the Swachh Bharat Mission in the spirit of a true janandolan. The Prime Minister in his address, Mann Ki Baat, on Sunday called upon the youth to avail the benefits of the Internship and take forward the cleanliness movement. MHRD has already issued relevant instructions to college and University levels. 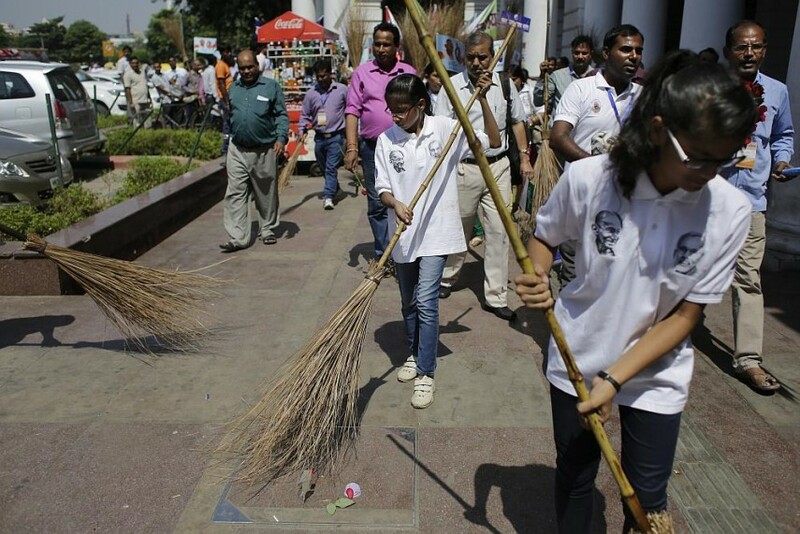 States have been asked to facilitate the students as they fan out to villages to take up various Swachhata activities including Shramdan and awareness campaigns during the internship. The period for taking up the internship has been kept as a minimum of 100 hours any time from 1st May to 31st July. The last date for registration is 15th May. The Prime Minister congratulated all medal winners, and complimented those who could not win medals but had performed creditably. He said that accomplishments in the sporting arena inspire everyone. He told the medal winners that their sporting feats have raised India’s stature. He said that whenever an Indian sportsperson wins on the global sporting stage, it is the Indian flag that rises. 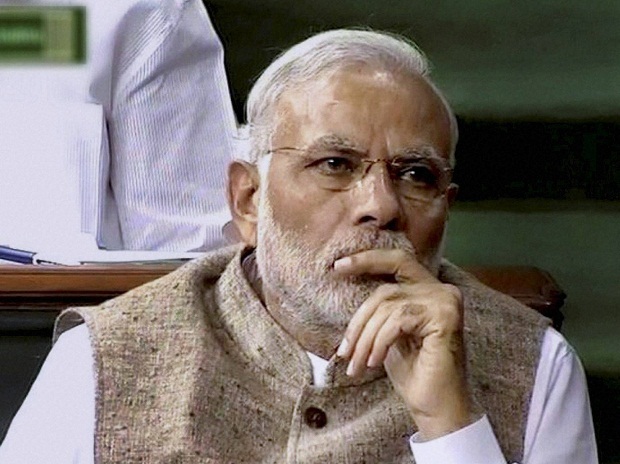 The Prime Minister said that today, the life of a sportsperson can span several decades. In this context, he gave the example of Mary Kom, who is winning gold medals even as she is Member of Parliament. He also mentioned Pullela Gopichand, who is mentoring and coaching many different players, after an immensely successful career as a player. The Prime Minister said that besides talent, training, concentration and hard work, mental toughness is also important for sportspersons today. In this context, he mentioned the benefits of Yoga. The Prime Minister urged the sportspersons to remember, and keep in touch with the various Gurus, mentors and teachers, who have guided them right from childhood. Minister of State (Independent Charge) for Youth Affairs and Sports, Col. Rajyavardhan Rathore, was also present on the occasion. Karnataka is the largest state in south India based on area. The state is usually classified into 5 distinct parts for analysing electoral politics. Karnataka has three main political parties vying for power. Karnataka is currently ruled by Indian National Congress under the leadership of Siddaramaiah. 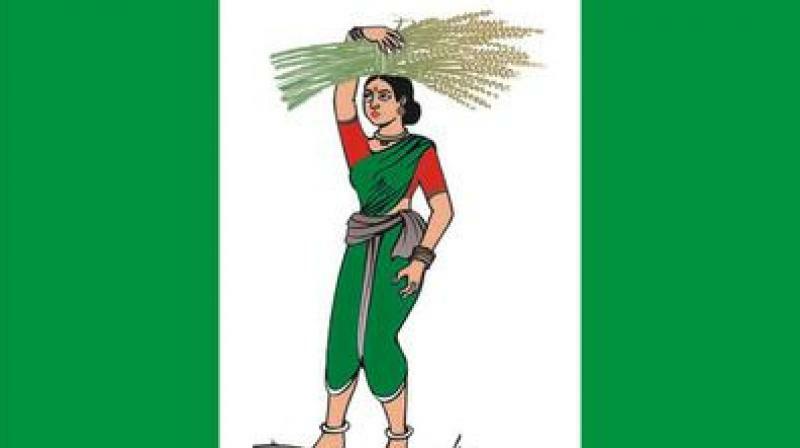 Bharatiya Janata Party and JD(S) are the Opposition parties. The last Assembly Elections happened in 2013 and the next election is due on May 12. Karnataka has 224 Assembly constituencies. Any party requires 113 seats to form the Government. The current strength of the ruling party Congress is 124. The Opposition parties BJP and JD(S) have 44 and 39 seats respectively. Bengaluru has 28 out of 224 Assembly constituencies of Karnataka. 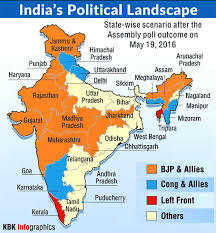 It can be considered a unique electoral region since its trends are slightly different from the rest of old Mysuru region, where it falls. The erstwhile JD(S) leader Zameer Ahmed Khan, who was elected as MLA both in 2008 and 2013 Assembly Elections, has switched over to Congress this time around. Will it be a complete two-way battle between Congress and BJP, or does JD(S) still have a chance without him? In Karnataka, State Election Machinery and Income Tax Department have stepped up their action against misuse of money in election and for the first time. Teams with statutory powers and sufficient resources in terms of manpower, vehicles etc. have been posted in each district of the state. Total cash seizure as on Monday (April 30) is Rs.19.69 crores and the unexplained jewellery of value Rs. 4.81 crores has been made by the Investigation Wing of Income Tax department in Karnataka after the start of the Assembly election related surveillance. In 2013, Karnataka State Assembly Elections, the total seizure made in the entire campaign period was only Rs 4.97 crore cash and Rs 3.41 crore worth of jewellery. It has been found that the bulk of cash seized during operations in the present Assembly Elections is has been meant for distribution. The Investigation Wing of the Income Tax Department has been doing intensive surveillance and monitoring activities in the State. The details of some of the major activities carried out by Income Tax department are as follows. 1. Based on the intelligence, search and seizure operations were conducted on several government contractors between the 24th and 26th of April 18. This resulted in a seizure of unaccounted cash of Rs 6.76 crore from four such contractors in the Mysore area. The entire amount seized was in higher denomination notes i.e. Rs.2,000 and Rs. 500 and the bulk of the seizure was made from lockers in benami names. The cash found and seized was not reflected in the books of account maintained by the contractors and they could not explain the source of the cash. 2. Hoarding of huge stocks cash by these persons at a time when the election process is in progress and when cash shortages are reported in some areas in the state raises troubling questions. 1. 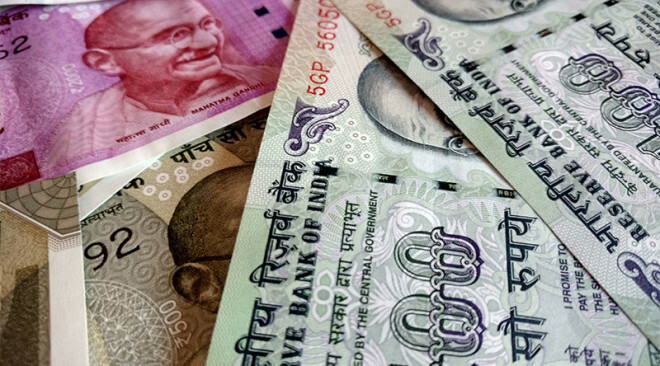 Based on the specific intelligence that cash is hoarded by Government contractors for being used for election purposes, search action has been initiated in the cases of 3 contractors in Bangalore, Davangere and Mysore on April 26 and were concluded on April 28. 2. Unaccounted cash of Rs. 4.08 crores and unexplained gold jewellery of 2.79 Crores worth were seized. In one of the contractor’s case, cash of Rs. 1.2 crores was found in a moving car. 3. During the search evidences have been recovered showing inflation of purchases, bogus sub-contractor and labour payments and unaccounted cash payments. The searched party admitted additional income of Rs.74.39 crores. Based on the intelligence inputs that one person was funding certain candidates of a particular party, a search was conducted at 2 business premises and 1 residence, which continued for 32 hours and resulted in seizure of Rs. 3.18 Crs of cash, concluded on early hours of 29th April. Cash of Rs.2.00 crores was found in a car parked closed to the main persons residence, which was found by the department after causing the thorough rummaging of the persons premises and belongings. 1. Searches were conducted on a candidate who is contesting on a party ticket based on verification of the affidavit filed by him, specific intelligence about the cash transactions and other particulars. 2. It was found that the contesting candidate is a non – filer since AY 2012-13 onwards. However, in his election affidavit he has declared some income and put a remark that online filing of return has been blocked by Income Tax Department so he could not file his return and has paid Self Assessment Tax. 3. There is no such thing like blocking the filing of return. Also, there are substantial discrepancies between income declared by his wife in her return of income filed, declared in affidavit and actually detected during the search. 4. He accepted that five Properties (out of which 3 are General Power of Attorneys and 2 are purchased Properties) of his family members have not been declared in the election affidavit. 5. During the search it was found that he and his family members have not declared their income out of real estate business and Joint Development Agreements. The income detected and now being declared by him and his family members is Approx. Rs.18.00 crores for various Assessment Years, including he himself, his wife and two sons. He has most of the business activities in family member’s name only. 6. Issues like valuation of properties which he claimed to be valued at Rs.191.00 crores are under investigation. India Meteorological Department (IMD) has on Monday issued a severe thunderstorm alert for East and Northeast India during next 3-4 days. According to MeT department, a cyclonic circulation lies over east Bihar and adjoining West Bengal and Jharkhand and a trough runs from this cyclonic circulation to Manipur across Meghalaya in lower levels. An east-west trough runs from Punjab to southeast Madhya Pradesh across Haryana and west Madhya Pradesh in lower levels. Core of sub-tropical westerly jet runs between latitudes 23 and 27ﾟN over Indian region. Weather Forecast: Under the influence of above systems, scattered to widespread rainfall/thunderstorm activity very likely over east and northeast India during next 3-4 days. 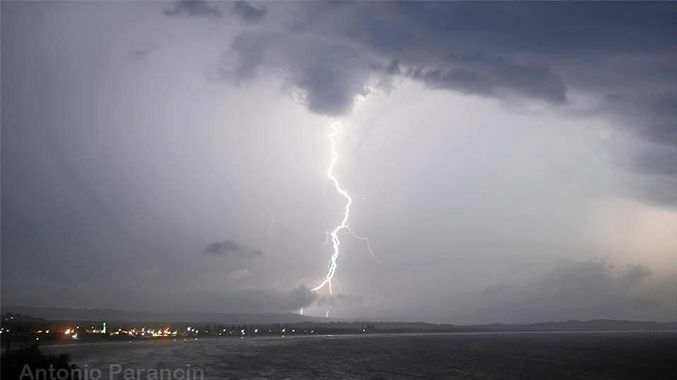 Thunderstorm accompanied with squall very likely at isolated places over Bihar and Thunderstorm with gusty winds at isolated places over Assam and Meghalaya, Nagaland, Manipur, Mizoram and Tripura, Odisha and Jharkhand. Heavy rain very likely at isolated places over Assam and Meghalaya, and Mizoram and Tripura, and West Bengal and Sikkim. Thunderstorm accompanied with squall/hail very likely at isolated places over West Bengal and Sikkim, Mizoram, Tripura and Jharkhand. 02 May: Thunderstorm accompanied with squall likely at isolated places over Gangetic West Bengal and Odisha and Thunderstorm with gusty winds at isolated places over Assam and Meghalaya, Nagaland, Manipur, Mizoram, Tripura, Sub-Himalayan West Bengal and Jhjarkhand. 03 May: Thunderstorm accompanied with squall likely at isolated places over Gangetic West Bengal and Odisha.